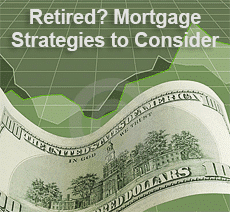 Buying A Home To Retire In It? Careful How You Do It! Comments Off on Buying A Home To Retire In It? Careful How You Do It! Buying a home is an important life choice; buying one to retire in is even more momentous. Where you will choose to spend your retirement years is an important part of the rhythm of life; when your nest is empty, it is time to start thinking about downsizing and preparing to cut loose. In ideal circumstances, retirement is something that requires planning ahead. Buying a home in which to spend your retirement works best if you can start early. Begin the process at leas five years before, or even ten years ahead of the big date, if possible. The earlier you start, the better your situation when it comes to the actual transition. Buying a new property while you still have another home and using it as an investment property is an excellent strategy. Then once you do decide to move into it use the proceeds of the sale of your previous home for investment income or hold onto it as a rental property. The first concern is how you are going to fund your retirement home. If you have investments that you can cash out to pay for a new, more suitable home, that is one thing, however, even with equity in hand, you may decide to finance part or all of the purchase. That means applying for a home loan, and you will still have to qualify for the terms that a bank or other any lender will offer. Lenders will inspect your debt-to-income ratio very carefully. So, you will do well to apply while you still have a full flow of income. If you have already retired before you apply for a mortgage, your DTI will change to where lenders will only approve smaller loans at higher interest rates. Of course, not everyone can make such decisions and investments. As a person or couple in need of a new home, how much can you downsize? There are now options that could be as small as a couple of hundred square feet. These tiny homes make the most of your resources and leave more to invest in annuities or other plans. Another option might be to put all the equity into your retirement home and then take on a reverse mortgage that allows you to use the equity for expense such as healthcare and insurance if you need it later. Alternatively, you may choose to rent in a seniors community and invest your capital in paying rent and your living expenses. Home ownership can be expensive, with hidden and unexpected costs coming up when you least expect them. Renting will make your costs more consistent every month, as the property management and landlords take responsibility for maintenance and repairs. Owning your retirement home does give you the peace of mind that a landlord cannot sell the property or convert to condominiums against your wishes. Buying a home for retirement also provides a legacy to your heirs if there is equity remaining after your partner and you have passed away. Take action to prepare to retire as far in advance as you are able, The sooner you do, the better your options for buying a home will be.